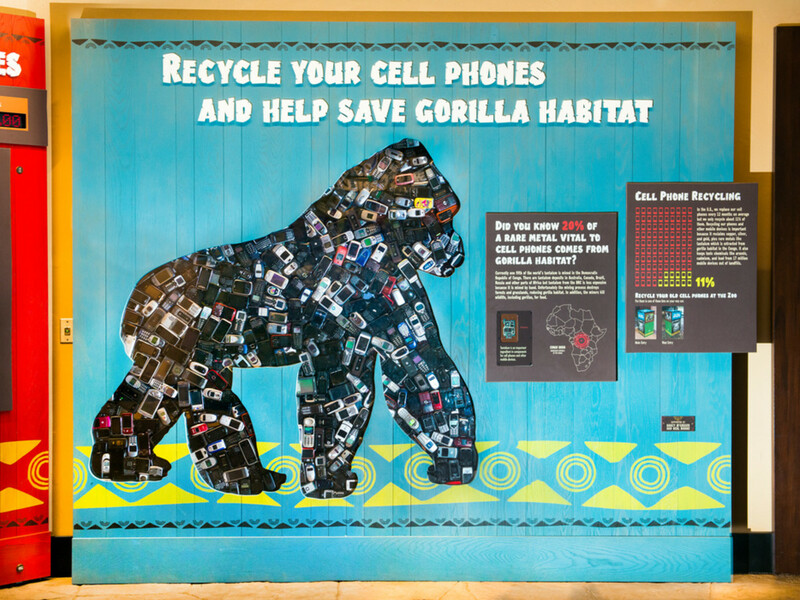 Next time you visit the Houston Zoo, be sure to bring your old cellphone along. Why? 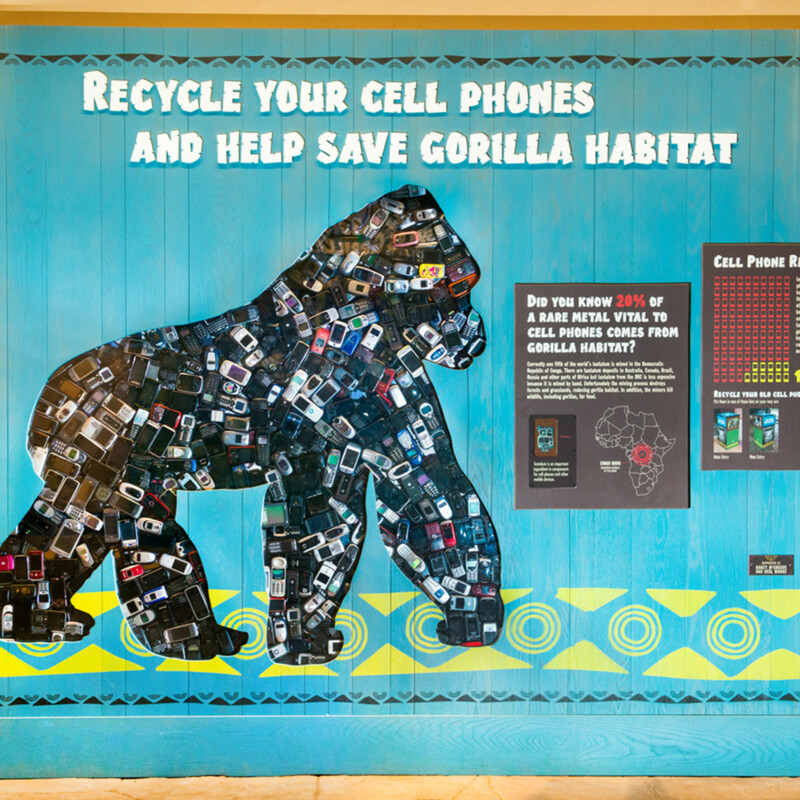 Because you can recycle it and other handheld electronic devices at the zoo, and by doing so you'll be helping to save gorillas in the wild. Cellphones contain a material called tantalum that is derived from the mineral Coltan (columbite-tantalite). Coltan is destructively mined in central Africa, which is where animals like gorillas, chimpanzees, mandrills, and okapi live. By recycling cellphones, you can help these animals and others by reducing the demand for new materials. 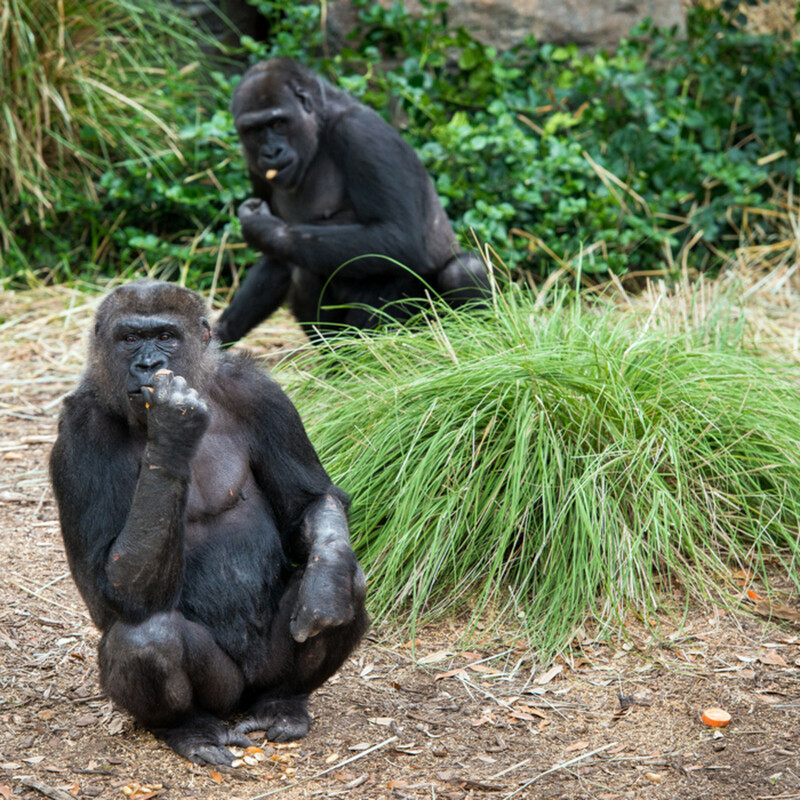 You can see two troops of Western lowland gorillas at the Houston Zoo: the Family troop (Holli, Binti, Angel, and Mike) and the Bachelor troop (Ajari and Chaka). 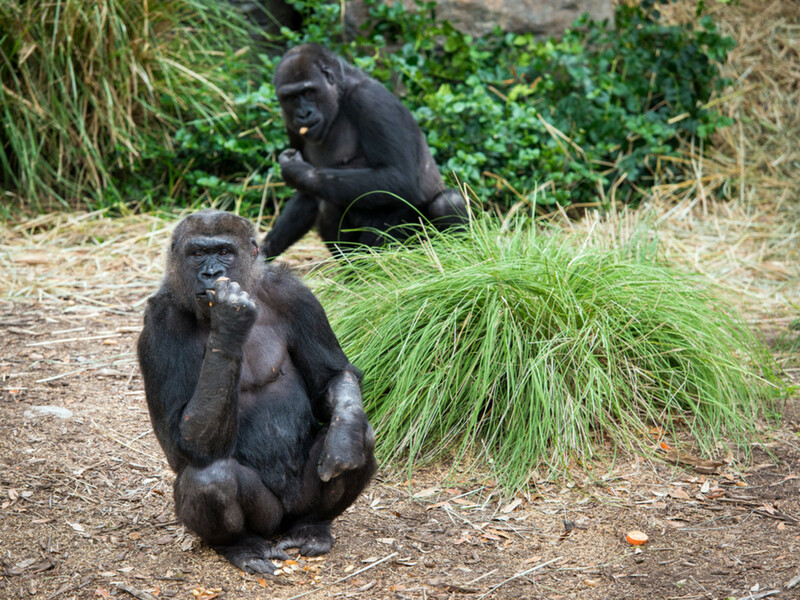 Western lowland gorillas are native to central Africa, though all the gorillas here were born and raised in other American zoos. 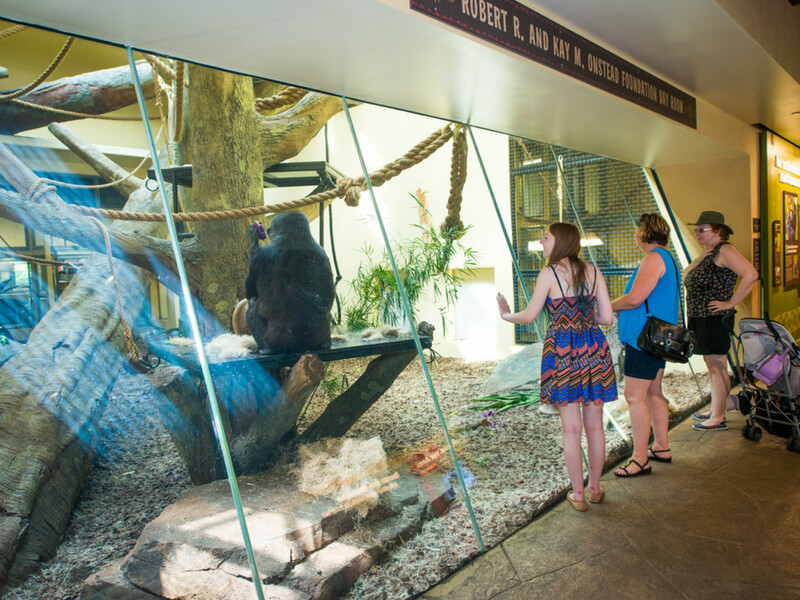 The Gorillas of the African Forest exhibit opened in May 2015 and allows visitors to observe them through a lush forest that mimics the gorillas' natural habitat, and the Great Ape Gallery, an indoor space where guests can get up close and personal with the apes. 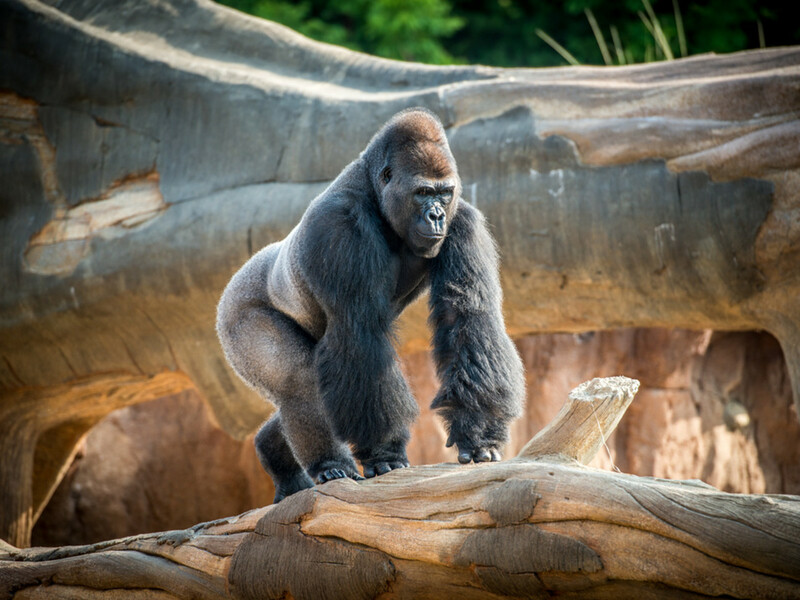 The Houston Zoo works with several organizations in Africa to protect and save endangered gorillas in the wild. Conservation Heritage-Turambe, a wildlife education program located in Volcanoes National Park, had more than 200 Rwandan students participate in weekly programs that increased their understanding of mountain gorillas and how they can benefit the community. It also helped 76 Rwandan residents learn about their local wildlife and see species like the golden monkey in its natural habitat for the first time. 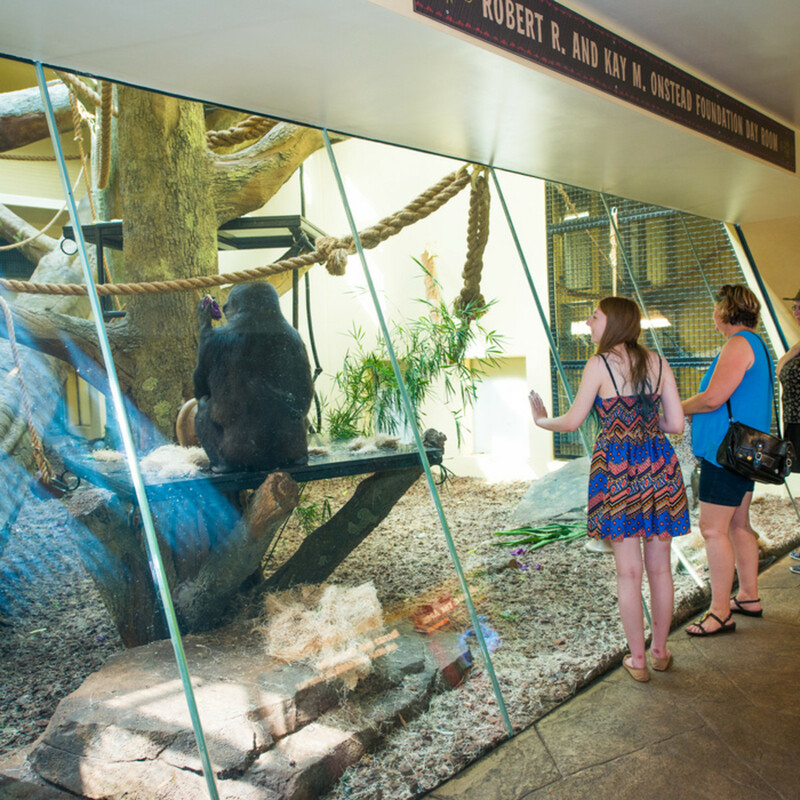 The zoo is proud to provide resources to strengthen these educational programs. 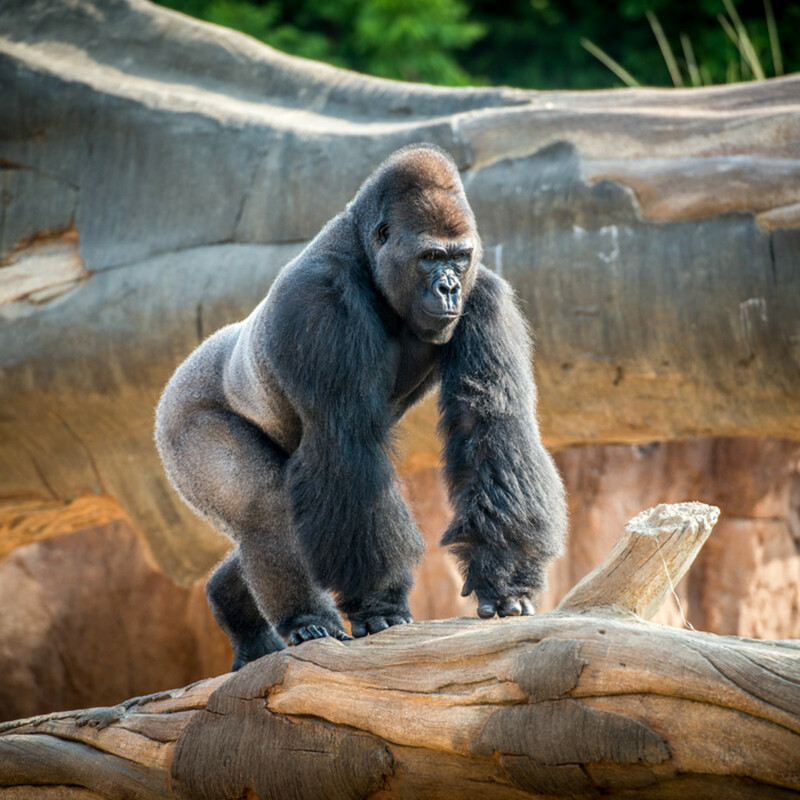 Another organization the zoo supports is Gorilla Doctors, whose mission is dedicated to saving critically-endangered mountain and Grauer's gorillas through life-saving veterinary medicine. Local veterinarians from Rwanda, Uganda, and DRC performed 227 health checks on gorillas in Virunga, Volcanoes, Mgahinga, Bwindi Impenetrable, and Kahuzi-Biega National Parks in 2017 alone. They helped with 20 interventions to remove wire traps and/or provide antibiotics to gorillas suffering from respiratory and other illnesses and provided vet care to four mountain gorilla orphans in captivity in Virunga National Park's Senkwekwe Center in the DRC. 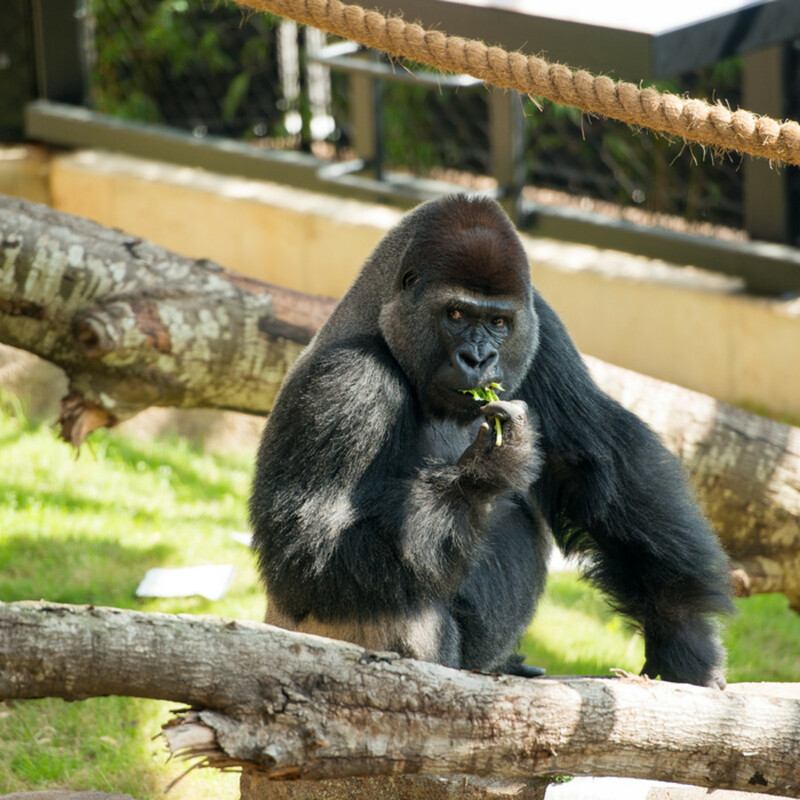 The Gorilla Doctors team often visits the Houston Zoo to train with the zoo's veterinarians. 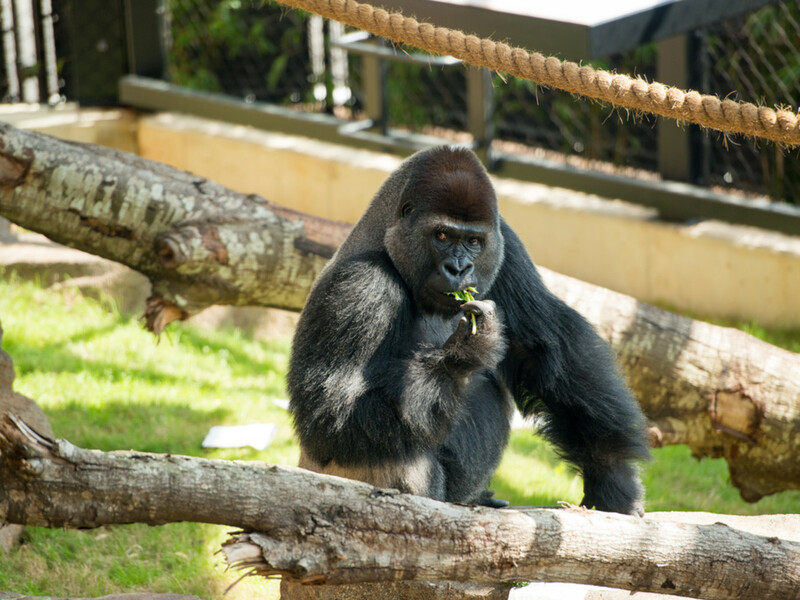 Every time you visit the gorillas at the Houston Zoo, a portion of your admission ticket is donated to help save animals, like gorillas, in the wild.